During his first internship on a dam project in the Western Basins region of Afghanistan 6 years ago, Naser, a civil engineering student at the time, was struck by the fact that all the water resource engineers were foreigners. 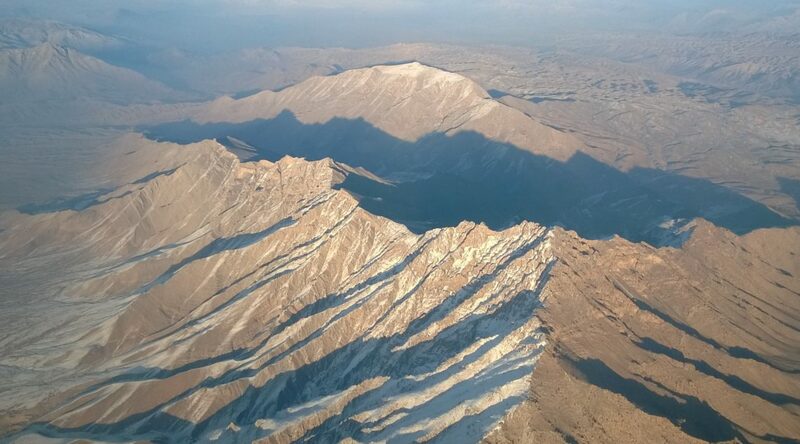 Given the importance of clean water to a landlocked country where most water originates from the Hindu Kush Mountains snowmelt, where were the Afghan water resource engineers? It was at this moment Naser decided to focus his career on water resource management. The last three decades of conflict – from the Soviet to the American invasions – have left an indelible mark on Afghan institutions and citizens, particularly on the education system. Many in possession of a good education left the country due to the conflict. Since the 1980s, a huge information and skills gap has been growing, impeding the ability of national engineers to conduct effective analysis to rebuild Afghanistan’s water infrastructure. This has resulted in an over-reliance on international experts to implement water and irrigation engineering projects. This further created challenges for the sustainability of water resource management in a drought-prone country where access to dependable, clean water supply is a challenge for 45% of Afghan households. Naser is now a technical advisor at the Afghanistan Urban Water Supply and Sewerage Corporation, where he provides advice on the management of groundwater resources. He is one of a handful of highly skilled water resource management engineers in Afghanistan. He embodies a strong hope for Afghanistan to better manage its water resources, rebuild water infrastructure damaged or destroyed by years of war, negotiate cross-border water resource agreements with neighbouring countries, and adapt to the impacts of climate change. Naser was one of thirty students who completed a masters’ studies in water resource management at the Asian Institute of Technology (AIT) in Thailand, funded by the Asian Development Bank through the Capacity Building for Western Basins Water Resources Management Project. The project, implemented by CowaterSogema in collaboration with the Afghanistan Ministry of Energy and Water, sought to increase the capacity of engineers and related professionals in the Western Basin regions of Afghanistan. 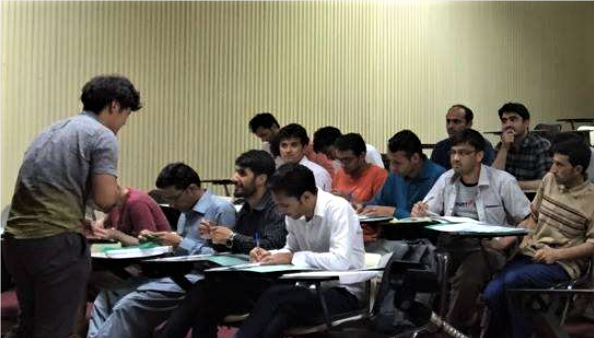 As a leading institution focusing on postgraduate research and promoting technological change and sustainable development in the Asian-Pacific region, AIT was selected for the quality and relevance of its courses to the water resource context in Afghanistan. Through a competitive recruitment process, early and mid-career engineers and associated professionals from the Ministry of Energy and Water and the University of Herat, the preeminent water resources management faculty in Afghanistan, were selected to participate. The goal was to strengthen professional competence, and ultimately improve the technical and administrative management of water and agricultural resources in the Western Basins region. Recruitment of the students was based on academic credentials, engineering work experience, and commitment to completing advanced academic degrees in water resource management engineering. In total, six women and 24 men were selected to participate. Specific considerations were given to the challenges of gender inequality in Afghanistan, where there is a significantly lower participation of women in the field of engineering and social constraints on their movements. One of those women was Maryam, a newly graduated engineer who was born during the Taliban regime, which banned girls and women from attending school. She spent her early education in secret underground schools for girls, which did not prevent her to complete her bachelor’s in civil engineering at the University of Herat. She was motivated to get a master’s degree in water resource management and excelled on the recruitment exam. During studies in a foreign environment, it was of utmost importance female students be allowed to pursue the program in the same capacity as men. Women who decided to bring their youngest children with them were accommodated and provided with childcare allowing them to attend classes and be able to study as freely as the men. In this supportive environment, the students fared well in the competitive and demanding program. At first Maryam put a lot of pressure on herself to succeed. Coming from a background where she had never been exposed to such a diversity of students, she did not feel on par with her classmates. Slowly she overcame this lack of confidence in her capacities. Her efforts paid off when she was one of few students selected for an internship at the UNESCO in Bangkok. All thirty students graduated and returned to Afghanistan – a 100% success rate. Within the first month of coming back, Maryam landed a position at the Research Board of the Ministry of Energy and Water. She is now in charge of hydrologic modelling and reporting. For her, completing her master’s degree was not only essential in securing this job. It contributed to her newfound understanding of the broader impact that being a woman in water resource management can have in Afghanistan. She is glad to be an example for other young women and to contribute to the growing body of knowledge on water management in Afghanistan. For Naser, it was important to return to Afghanistan: “I came back and I hope I can make this country a better place to live for my family and others”. Like Maryam, his hope is that Afghanistan will be able to solve its water resource challenges and manage water resources without an over-reliance on foreign experts. 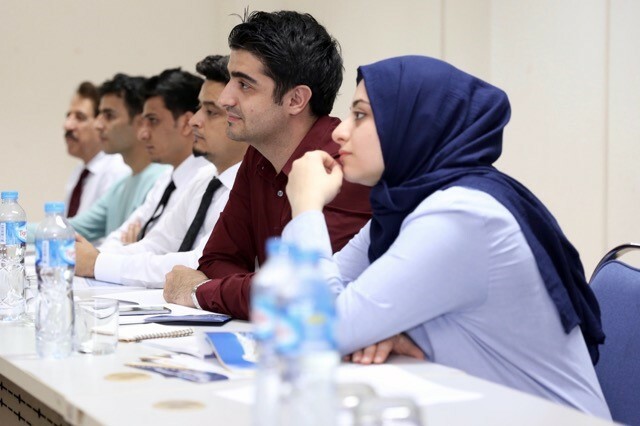 The project may help Naser and Maryam’s hope come true: six fellow students from their program have now returned as volunteers at the University of Herat. They are preparing the opening of the new Water Resource Engineering and Management Department, bolstering the university’s faculty in water management, and ensuring that the next generation of Afghan water engineers are called upon to implement national projects.